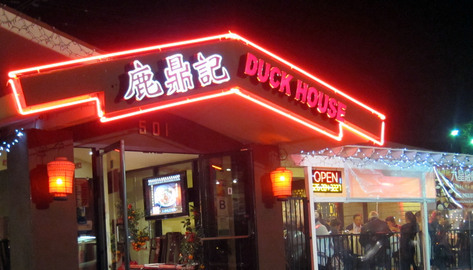 Duck House is a traditional Chinese Restaurant with a lot of creation and modern touch in it. Quality and presentation are our main focus. 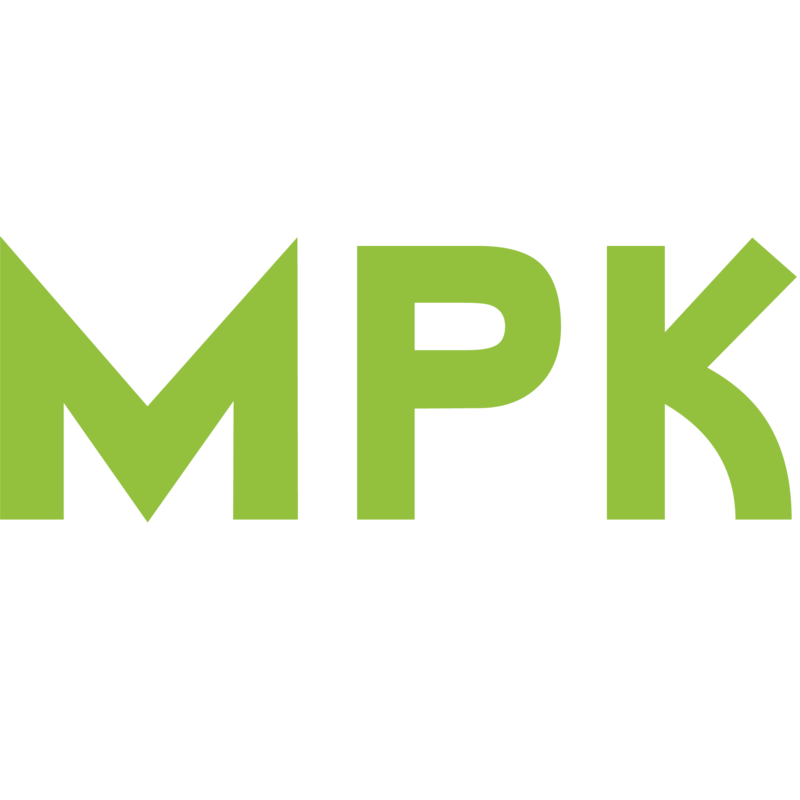 We started our business in 2003. Our Traditional Peking Duck is our Signature dish. 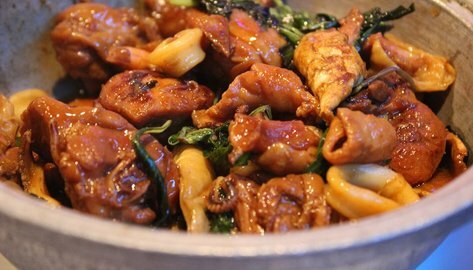 Besides, we have different kind of creative dishes such as Konnyaku Salad, Filo Dough Jumbo Shrimp, Eel on Sticky rice, and Buddha Chicken, etc. We also do catering for Wedding, Birthday parties and Meeting too. Hope that we can show you a new adventure of Chinese Foods. 3 Reasons to try Peking Duck! 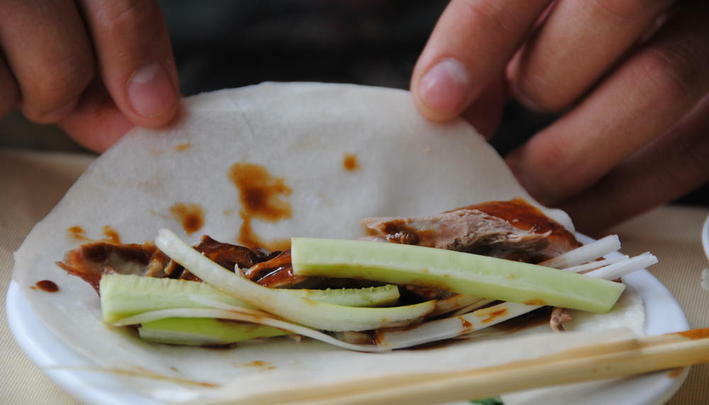 Peking Duck is one of China’s most treasured national dishes. 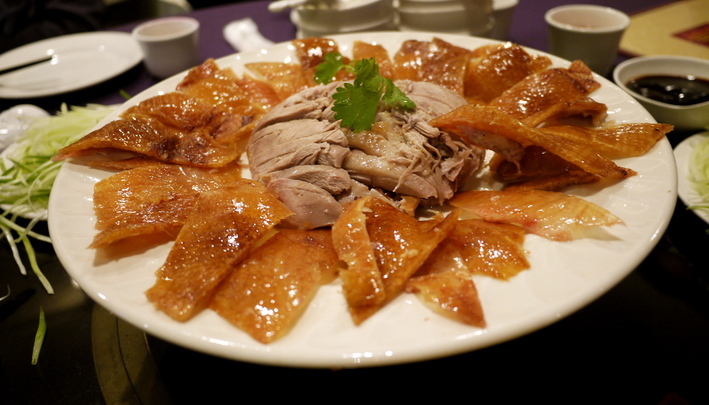 Peking Duck is famous for their slow roasted and succulent meat that is served with the skin that is crispy and savory. When dining at a r estaurant, you will be served hoisin sauce, pancake skin, scallions, fresh sliced cucumbers and, of course, the duck. Peking Duck is a dish that has more than 700 years of history and can be traced back to the Yuan Dynasty (1206 to 1368). According to the Official Beijing Government website, Peking Duck was on the list of imperial dishes. 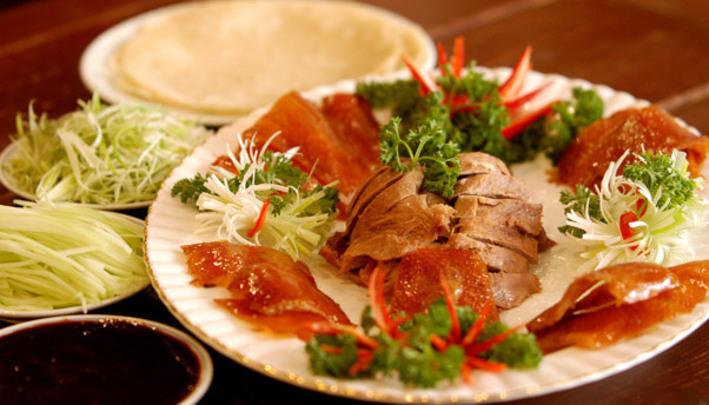 Throughout history, Peking Duck has been a dish that was meant for upper class and royalty. Fast forward to modern day, Peking Duck is readily available for you to try and on top of that, now you can savor the dish knowing the historical significance of it! Preparing Peking Duck is an art form. It starts from the method of which the ducks are raised to the way they are slaughtered and gutted. Air is then pumped into the duck to separate the skin from the fat. Then it is slathered with a sweet glace and the roasted in an oven until it turns into a nice maroon brown. It is fun to eat. When Peking Duck is served to you, the server will slice the duck in front of you serving the meat separate from the skin. Dip the meat in hoisin sauce, that will be on the table. and place it in a pancake skin that is usually served with the duck. Then place a few pieces of scallion and cucumbers in and top it off with a crispy duck skin. Fold the pancake skin around all of that and savor the goodness! Try Peking Duck at Monterey Park’s own Duck House!